In Settings -> Addresses, you can organize the funds in your wallet. This section of your wallet is also where you can view and manage individual addresses. You can organize funds in your wallet however you like. Common ways to organize your funds include dividing them up into categories like spending, savings, or business-related expenses. Your wallet automatically manages your bitcoin addresses for you by generating a new one each time you need one to receive a payment. You can click on Manage to the right of a category to see all of the individual addresses that have been generated for that specific category. To create a new address, navigate to the right category, then click on Manage -> Add New Address. Each new address will display below, and you can generate an unlimited number in each category. Labels for new addresses can be created by clicking Add a Label to the right of each address. If you decide to delete an address label, you can click on the trash can image. Previously used addresses within a category can be viewed by pressing the Used Addresses button. This allows you to see every receiving addressed ever generated within the specific category, as well as the current balance of each of these used addresses. 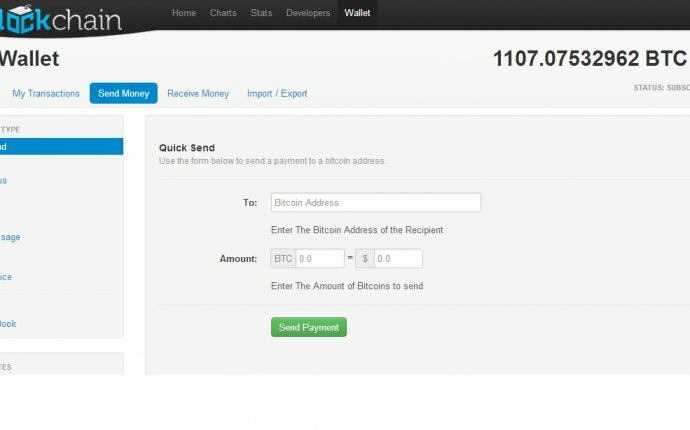 Please note that when you send bitcoin, your Blockchain wallet automatically selects addresses to spend from. That's why the current balance of an address can be different from the total received value. Within the Manage section is a More Options button. You can edit the name of the category, make the category the default for receiving and sending, or archive it so it no longer appears in your balance (note that archived categories can be unarchived). xPub is short for Extended Public Key. Your wallet itself has a master xPub or extended public key, and each category you create is an extension of that public key. This means that each public bitcoin address you generate in your wallet also stems from your xPubs and your wallet's master xPub. If you don't have a decent understanding of what your xPub is, we advise against showing the xPub. It's important to only share your xPub with those you trust. If someone obtains your xPub, they may be able to monitor your transaction history and disrupt your access to your wallet. A warning is displayed when you click Show xPub to reiterate this. At the very bottom of your category list, you'll see your imported addresses. Imported addresses are addresses that were generated in another wallet and imported into your Blockchain wallet. If you have a private key from something like a paper wallet, you can use the Import Address feature to import that into your existing wallet. You can use the Import Address feature to import a public or private key. Adding a public key creates a watch-only address, which means you can view all incoming and outgoing transaction activity from that address. You can only spend funds from a watch-only address if you have the private key. When you attempt to send from this type of address, an additional field will display where you'll need to scan or paste the private key. Send from the imported address to an address outside of your wallet. If you import a private key with funds, you'll be asked to sweep the address and transfer them to the default category in your wallet. For ease of use, we strongly recommend transferring funds from imported addresses to your category. If you have any imported addresses that were archived, you can click on Archived Addresses to view them. Archived imported addresses can also be unarchived.